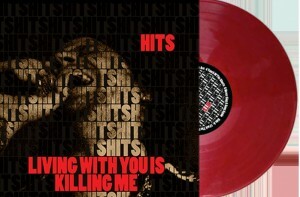 Mere Noise Records » HITS – Living With You is Killing Me – RE-ISSUE! HITS – Living With You is Killing Me – RE-ISSUE! We are so proud to announce that we are currently re-pressing this gem of a record on vinyl – HITS: Living With You is Killing Me. There is a very limited number of copies available for pre-order now. The tracks have been re-mastered and the artwork updated as a gatefold cover. Choose from tasty 180 gram vinyl or sweet red flavour. This will sell out quick!